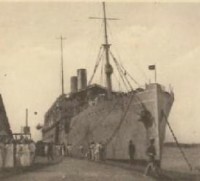 To meet the threat to Northeast Brazil and its vital airway the Army's War Plans Division proposed to send a reinforced infantry regiment to the Natal area at once, using for this purpose the troopships then earmarked for an Azores expedition. 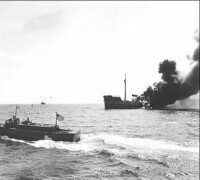 The first regiment was to be followed by at least the rest of a reinforced division as soon as additional sea transportation could be found. Army defensive air units were likewise to be sent to Brazil as soon as possible. 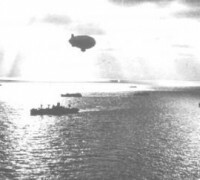 While the proposal was being drafted and circulated for concurrences, General Marshall and Admiral Stark agreed that three companies of marines should be flown to Brazil, to guard the airfields at Belém, Natal, and Recife, as soon as the Brazilian Government gave its consent. Under Secretary Welles promised that a request along these lines would be presented to President Vargas personally. When the Navy's chief planner refused to concur in the plan for sending Army forces to Brazil, General Gerow, with General Marshall's approval, presented the matter to Secretary of War Stimson for decision and action. Mr. Stimson during telephone conversations with Mr. 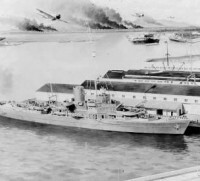 Hull and Mr. Welles agreed to suspend the Army's plan pending Brazil's approval of the Marine operation, but only when Mr. Welles expressed confidence that the Brazilian Government could be prevailed upon to allow Army forces to be stationed in Brazil shortly after the arrival of the marines. It cannot be too forcefully impressed upon you and your men that you are there in the sovereign territory of Brazil under very unusual circumstances by authority of the President of Brazil, as an evidence of Brazilian determination to cooperate fully with us in Hemisphere Defense, and that you and your men are there as friendly associates of Brazilian military and naval forces, as well as civil authorities and the people themselves. Acting under these instructions, the 17th, 18th, and 19th Marine Provisional Companies departed from Quantico by air in the early morning hours of 15 December. The marines reached Trinidad two days later. There, they were briefly halted while the Army and the Department of State straightened out a new tangle. The Brazilian Government now said that it did not want the marines to land in uniform or bearing arms. President Vargas finally agreed that the marines could land in uniform, but he asked that their arms be left crated or at least hidden out of sight. The Marine companies then proceeded to their destinations, the Belém company arriving on 19 December and the Natal and Recife companies on the following day. When the Natal and Recife contingents arrived, they discovered that the local Brazilian authorities had not been fully informed about the terms that the Brazilian President had approved, and both detachments were put on Navy ships until suitable arrangements could be made for their disposition ashore. The reception of the marines did little to reassure the Army in its concern for the security of the airfields. After the outbreak of war, the Army hurriedly instituted several other measures to improve the safety of the airway through Brazil. On 7 December it asked Pan American Airways to put the radio stations of its Brazilian subsidiary on a 24-hour schedule. The Army Air Forces sent its own control officers to Brazilian airports, 1st Lt. Marshall V. Jamison arriving at the key Natal base for duty on 19 December. During December the Brazilian Government approved the movement of three Army transport planes a week in each direction without special diplomatic arrangement, and this consent covered all Army air movements through Brazil until the following March. The Army was gravely concerned about the continued operation of the radio transmitters owned by the CONDOR and LATI airlines, and about other radio stations that might broadcast unauthorized information concerning military air traffic through Brazil. At the Army's urging, the Department of State persuaded the Brazilians to issue an order on 13 December prohibiting any coded messages about aircraft movements from being sent. In practice Pan American broadcasts concerning United States military aircraft were excepted from the operation of this regulation. Since the Army believed that only the closing of the CONDOR and LATI stations would satisfy its interest, General Arnold on 19 December offered to send two B-18's and ten P-36's from the Caribbean Defense Command to Northeast Brazil for the instruction of Brazilian Air Force pilots as soon as the offending radio stations were closed down. With considerable difficulty the Army finally secured the discontinuance of broadcasts that it considered dangerous to Brazilian air operations, and the B-18's and P-36's were eventually sent to Brazil in March 1942, though on terms other than those proposed in December by the Chief of the Army Air Forces.